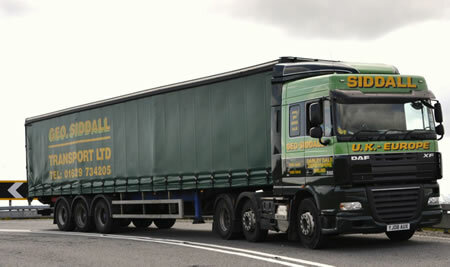 General Haulage Services in the UK & EuropeBJ Waters was originally set up as a company to provide first-class general haulage services. Since then, we have moved with the times to include more advanced, modern haulage systems and expanded our reach across the UK and Europe. Our articulated and rigid curtain-side vehicles can handle loads from 3.5-44 tonnes. We will transport a large range of commodities for hire and reward. In particular, our services are used for handling materials in the automotive, construction and agricultural industries. 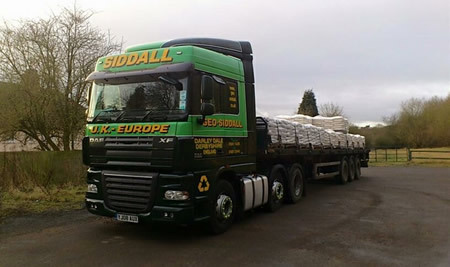 Non-ferrous metal is the most common, as we are one of the few hauliers in the UK who are equipped to load metal onto our specialised trailers. Call our friendly, knowledgeable team on 01629 734205 or email sales@bjwaters.co.uk to find out how we can help with your general haulage.